After its initial work in the mechanical machining field on behalf of third parties, Reber started producing small electrical household appliances. Since 1964, it has continuously expanded and improved its production, which over time has grown to include the professional sector and today boasts machines that are also used by the manufacturing industry. Meat, fish, vegetables, fruit: its specific focus is processing foods with painstakingly designed machinery. 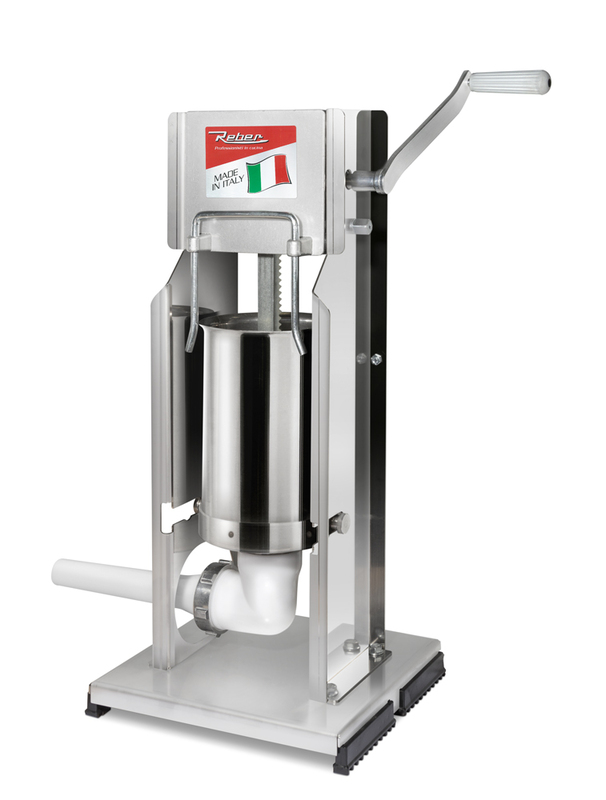 The wide range of Reber sausage filling machines have in common the main structure in painted or stainless steel; metal gears for reducing and increasing the piston speed to facilitate sacking and extraction; and a patented front air vent system. The photo shows the vertical/horizontal model 8962V.